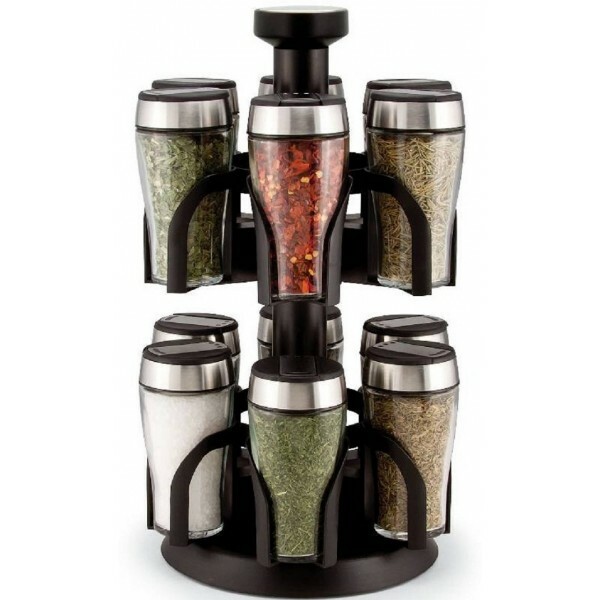 •	Unique torch-shaped glass spice jars with sliding sift and pour tops. 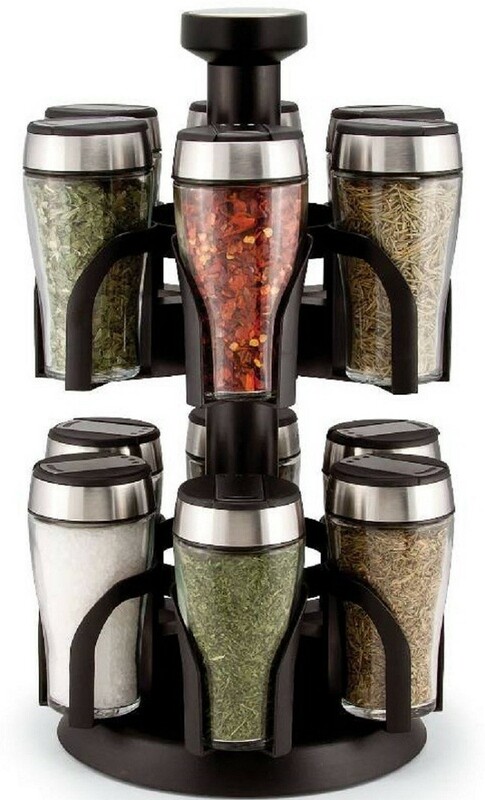 •	Each jar has curved jar holders offer easy access and secure hold. •	Chrome and black motif complements brings out elegant modern kitchen appliances appearances. •	The jars contain 12 savory gourmet spices filled in FDA registered facility.